Nearly three months ago, on January 6, Patriarch Bartholomew signed the Tomos of Autocephaly for the Ukrainian Orthodoxy. Though the whole process of granting autocephaly took less than a year Ukraine's President Petro Poroshenko appealed to the Ecumenical Patriarchate in April 2018. The "healing of the schism" seems to be requiring much more time as the reconciliation between former schismatics and the Orthodox Church, which used to be the only canonical one in Ukraine, can't happen in one moment. The Phanar is said to have implemented everything Kyiv had asked it to: the leaders of the two previously schismatic churches, the Ukrainian Orthodox Church of the Kyivan Patriarchate (UOC-KP) and Ukrainian Autocephalous Orthodox Church (UAOC), were suddenly reinstated. The two organizations merged in the Orthodox Church of Ukraine (OCU), which was designed to unite the Ukrainian faithful and attract the followers of the Ukrainian Orthodox Church of Moscow Patriarchate (UOC-MP). After the Tomos of Autocephaly was granted to the OCU in early January, its hierarchs and the state urged the followers of other denominations (primarily of the UOC-MP) to join the newly established church. Autocephaly was to become one of Poroshenko's main advantages during the elections. He finally brought to the Ukrainians an independent church separate from Moscow and recognized by the Ecumenical Patriarchate. However, recent polls show that he is lagging behind. The newly elected OCU Primate Epiphanius often highlights the role of Petro Poroshenko in the process of gaining autocephaly but it hardly yields any results as it makes the OCU look like a political project. So far, the Tomos so hastily granted by Constantinople hasn't brought the long-expected peace to the Ukrainian Orthodoxy. Believers are still divided, violence has grown and the authority of the new church leaders in Ukraine is weak. Autocephaly affected not only Ukraine but also the Orthodox world. The Tomos, which was fiercely opposed by the Moscow Patriarchate for obvious reasons, led to an increased level of misunderstanding between the orthodox local churches. Some churches (of Antioch, Serbia and Poland) joined Moscow in criticizing Constantinople while the others still haven't recognized the Orthodox Church of Ukraine. There have been calls to convene a Pan-Orthodox Synaxis on the Ukrainian issue (for example by John X of Antioch) but Patriarch Bartholomew refused to hold such a council. The Ukrainian autocephaly did influence the relations between the local churches, and this influence wasn't positive. Really disturbing is that the Ecumenical Patriarchate can no longer unite or reconcile the other local churches. One can remember the conflict between the churches of Jerusalem and Antioch in 2013 when the first established an archdiocese in Qatar, the land that canonically belongs to the Patriarchate of Antioch. 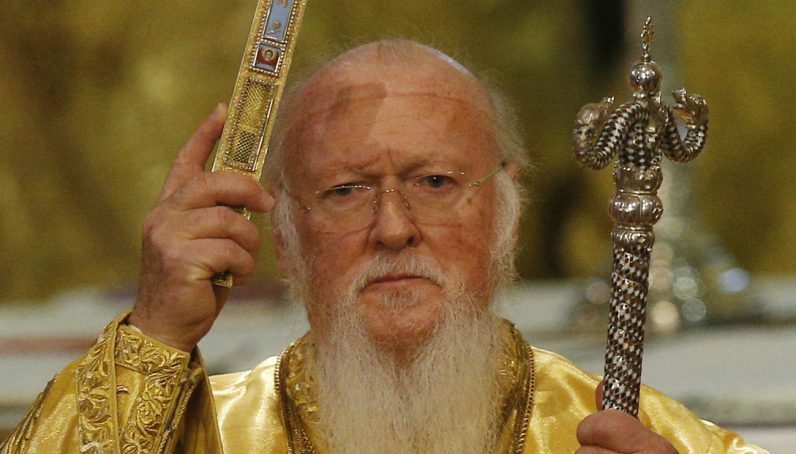 The Phanar that claims to bear the title 'first among equals' did nothing to resolve the issue, and that was one of the reasons why the most ancient orthodox church was absent at the Pan-Orthodox Council convened by Patriarch Bartholomew on Crete in 2016. However, Constantinople willingly interferes in the affairs of the local churches if it's beneficial for it. Along with the Ukrainian issue, the Ecumenical Patriarchate is focused on France, in particular on the Archdiocese of Russian Orthodox Churches in Eastern Europe (AROCWE). On November 27, 2018, the Holy Synod of the EP suddenly and unilaterally dissolved the Archdiocese declaring that all its parishes and properties must be transferred to the Patriarchate of Constantinople. The Extraordinary General Assembly held on February 23, 2019, refused to dissolve the Archdiocese. Later, it will be decided whether to come under the jurisdiction of another church-- the Moscow Patriarchate, Russian Orthodox Church Outside Russia or Romanian Orthodox Church. It is still unclear why all of a sudden Constantinople decided to revoke the Tomos of 1999 granted to the AROCWE. It is rumored that this was masterminded by Metropolitan Emmanuel (Adamakis) of France who decided to acquire the Archdiocese's parishes. Of course, such an act doesn't boost Constantinople's popularity among the AROCWE parishioners. Another act unilaterally revoked by the Phanar was the 1686 ruling that placed Ukraine under the Patriarchate of Moscow. This was a decision that led to the escalation of the conflict between Moscow and Constantinople. These two incidents are serious reasons for concern. What if it decides to declare the 'New Lands' in Greece its own territory, for example? An orthodox war between the Church of Greece and the Phanar? The Ecumenical Patriarchate has shown how easily it can influence the fates of orthodox churches by revoking or interpreting documents it had once issued. On the other hand, it's not that capable of resolving conflicts even in its own dioceses (see the Greek Orthodox Archdiocese of America whose Primate Archbishop Demetrios faces strong criticism amid numerous calls of Bartholomew to leave). The gap between local churches is widening. And today the Ecumenical Patriarchate is not seen as the leader, the 'first among equals' at least, that can unite the Orthodoxy and deal with the threat of another great schism.